27 Dec 2018 / 09:08 H.
KUALA LUMPUR: Angkatan Bersatu Anak Muda or Armada, the youth wing of Parti Pribumi Bersatu Malaysia (Bersatu), has to think like it is a government and must work hard as if it is an opposition to win and find solutions on issues that are close to the hearts of the young people and society. 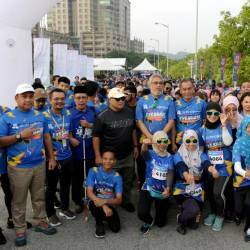 In making the call, Armada chief Syed Saddiq Syed Abdul Rahman said that in the struggle, they should also avoid from being caught in a culture of luxurious living. “Young people, both men and women, are in the frontline of bringing up relevant issues and in trying to find solutions. We should not be thinking about wealth. “We need to keep having that fighting spirit like before, when we fought even without having money,” he said during an interview with several media organisations ahead of the Bersatu Annual General Assembly at the Putrajaya International Convention Centre (PICC) from tomorrow until Sunday. The Armada assembly to be held at the same venue tomorrow and on Saturday will be attended by about 800 delegates. Syed Saddiq, who is also Youth and Sports Minister, said the Armada should continue with its struggle, including by going to the ground to interact with the public in a relaxed atmosphere such as in “mamak” shops, and not just at official events and “ribbon-cutting ceremonies”. The Armada chief said he would further explore the direction of the youth wing and the political landscape in his speech at the assembly. “Through the Armada convention, we want to make sure the young people have ample spaces and ‘movers’ at all levels,” he said. In the meantime, he said the issue on party-hopping, job opportunities, affordable homes, besides on the survival of the Malays, Bumiputera and Islam were among the subjects that would be brought up by Armada delegates. “Many more issues related to young people can be brought during the Armada convention , like the desire to see the leadership (at party and national level) exercise integrity in building the country to gain world respect,” he said. On the issue of party-hopping, Syed Saddiq, who is also the Muar MP had a clear message - Bersatu does not need to have politicians who were linked to various malpractices or crime under the previous government. 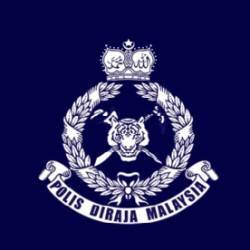 “If there are robbers and thieves joining Bersatu, I will leave the party,“ he said. 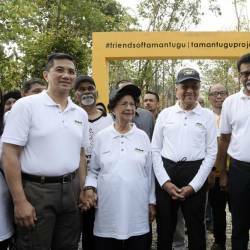 It refers to party hopping involving Umno members, especially members of Parliament and its leaders to join other parties including Bersatu, which is chaired by Prime Minister Tun Dr Mahathir Mohamad. 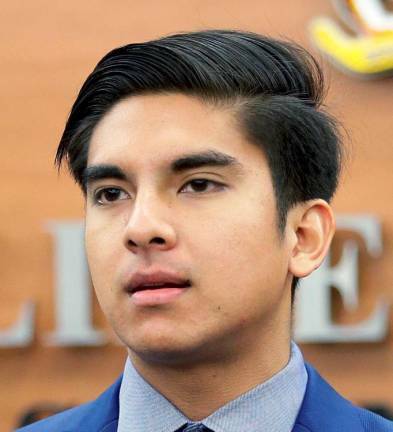 Syed Saddiq said that Armada realised that Bersatu needed to strengthen the party, but applications from former opposition leaders should be scrutinised before they could be accepted into the party. 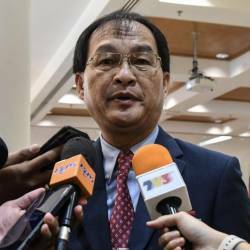 He said any Umno member or leader with pending court cases should not be admitted into the party. Syed Saddiq pointed out that the inclusion of experienced leaders from Umno should not be seen as a signal to marginalise the young Bersatu leaders who were willing to carve the party with their clear beliefs and direction.